I first saw Tess McManus performing at a Youth Infringement play 4 years ago, and she’s been pretty damn unstoppable ever since. Clearly gonzo about acting, writing and creating, Tess toured her debut solo show DONKEY DERBY to Fringe Festivals across Canada, and has created pieces for both Ottawa FRESH MEAT festivals, including the early prototype of her latest full-length piece, TALES SHE TELLS. 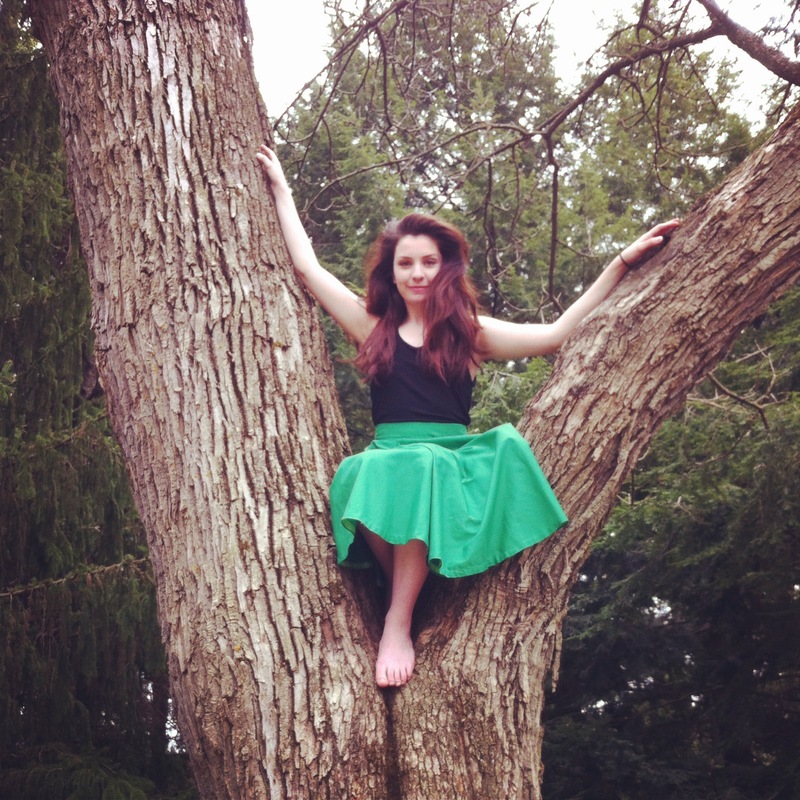 Launching at this year’s Ottawa Fringe before taking it on the road, I sent Ottawa’s fav’rit Irish Rose a few questions about the show before even SHE’s too busy to answer them. – What have you been up to since your last turn in Fringe (with DONKEY DERBY)? I was about to answer ‘Oh, not much. Nothing, really. I just focused on finishing up my undergrad until just now.’ But that is a bold-faced lie! When I returned from my DONKEY DERBY tour in late August, I had about two weeks to throw together the first installment of TALES SHE TELLS, because a wonderful, talented human being named Jonah Allingham saw my little show and thought I should keep up the work he seemed to enjoy. 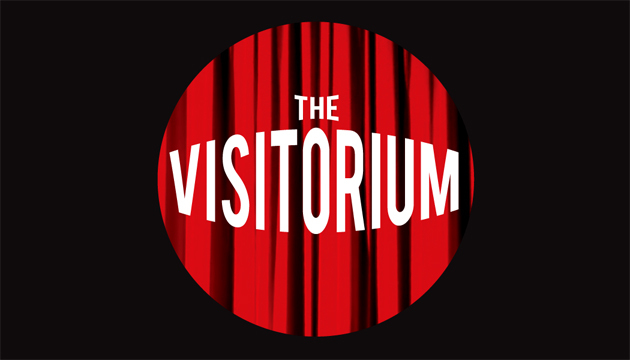 He founded and produced the Fresh Meat Theatre Festival, where TALES SHE TELLS lived for a few nights. The plan was to focus on school after Fresh Meat, as I was entering the hectic, heavy workload of a full-time third year undergrad student. And I did that for a while, picking up a handful of freelance, stage-performance gigs. But I wasn’t feeling incredibly inspired to write or apply to fringe 2013, so I tried to keep my head low and stay out of it. But, on a whim, I went to a supremely late-night showing of Victoria Luloff’s “The Day We Grew Wings” and thought she was a solid performer that I’d like to write for and work with. From that new-found inspiration of writing for more than just one voice, I wrote a rough draft of WHO WILL SEPARATE US? and submitted it to the cool, lovable team at Fresh Meat to participate in the festival again. WHO WILL SEPARATE US? was a really intense, interesting piece for me to explore. The real-life events and historical trauma of the play’s content were handled so carefully and beautifully by the two other actresses I hired, Victoria Luloff and Holly Griffith. The experience of working with two talented, dedicated performers really encouraged me to continue writing multi-character productions. After directing a show, acting in a few films and commercials, and giving the last semester of my undergrad one last push — the amazing Tony Adams and I debuted our site-specific co-creation PANTS., a play that was quite distinct from our respective artistic styles and company missions/ shows’ content. It was truly liberating to try something so vastly different from what we typically do. I loved every moment of that play! After yet ANOTHER film, I’m now rehearsing for the second installment of TALES SHE TELLS. Outside of acting and undergrad, I’ve been the Production Coordinator of two fabulous organizations, Les Prix Rideau Awards (also Volunteer Coordinator) and Youth Ottawa’s Spirit of the Capital Youth Awards (also the Entertainment Chair), where I’ve struck a beautiful combination of my love of helping to recognize professional theatre in Ottawa, and celebrate outstanding youth in our community. – Why did you choose to revisit TALES SHE TELLS and expand upon it? Exhausted from tour, I was really self-conscious about TALES, to be honest. It felt rushed. And 20 minutes was nowhere near a reasonable length for me to say everything I wanted to in the first installment. I didn’t feel I was necessarily putting the best product out there that I could, and therefore, in consequence, I felt myself hating the entire concept. It wasn’t until audience members and fellow artists whose opinions I highly respect began to personally congratulate me on the show and encouraged me to further develop it. But I couldn’t really touch it for a while after that. Years. It’s been a really difficult process to let go of the initial feelings of self-consciousness from the first installment. Dave Dawson, a close friend and the director of DONKEY DERBY, had expressed a particularly keen interested in TALES and fought for its development, including arranging the upcoming tour. I was still pretty stuck on the show. And, as it had been about two years since I first wrote it, I tried to wiggle and worm my way into getting back into the play’s groove. When I finished up exams this past semester, that’s when I really gave the script writing my all. In less than a month, I had written over 40,000 words and about 9 different drafts — almost all rejected by Dave. Finally, I returned to the original script and tried to remember what I loved about it. The stories. These stories that are well known to Irish traditional culture and were so important to me for years. And I think I found a balance of honoring my experiences and where I’ve come from, while making it interesting and accepting to people who don’t have the same background and culture as I do. ALSO, while making it different from other original works I’ve presented in the past. – You continue to explore your Irish heritage in your work… why is that avenue so vital to your theatre? I believe that people should write about things they are passionate about. My passion for my Irish cultural heritage expands beyond my creative writing — into music, dance, painting, sculpting, professional and academic writing… the list is endless. I wish my full-time job was to celebrate and preserve the beautiful land, history, and culture of Ireland. Those elements are my inspiration, my passion. As in the case of PANTS., it is evident that I have the ability to create plays about other topics and passions — they’re just as fulfilling and praised. In addition to passion and knowledge and experience to fuel the Irish content in my work, there also might be an age factor. As an artist and young person, I’m growing constantly. I feel differently about certain things that I’ve done or loved for years, so writing about those short-term interests has yet to appeal to me. I’m Irish. I’ll always be Irish. I would not have it any other way. I love theatre. I am dedicated to producing, creating, presenting, and performing theatrical works. It makes sense to continue to explore the steady, certain things about yourself to gain a thorough understanding of who you really are, when everything else is still adjusting and changing. That, and nothing inspires me like Irish cultural elements. My feelings and opinions are so rooted, that the work I’m able to create is sincere and meaningful — even if it’s just for me! I am quite open to creating alternate pieces of theatre that do no involve my Irish heritage (i.e. PANTS., etc) as long as the content provokes an inspiration. So, look out for non-Irish plays from this artist! But also, expect me to always come back to the bare-bones of my identity as an Irish individual. – Do you have any plans to revisit your other works, like DONKEY DERBY and WHO WILL SEPARATE US? I’m definitely open to the possibility of reworking both shows. 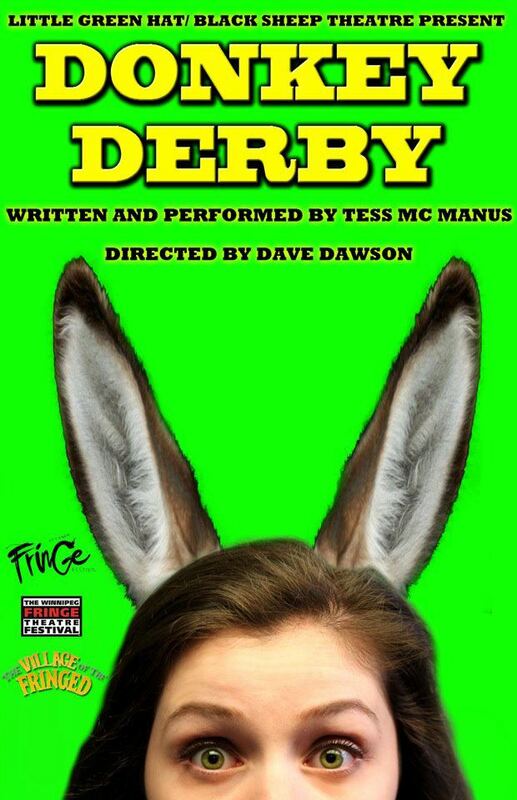 I’d love to see DONKEY DERBY tour much more, after a few tweaks here and there. It still feels like not quite enough time has passed for me to look at the original text as critically as I’d like. But even being asked this question makes me excited for reworking and performing that wonderful little show that I love so much. As for WHO WILL SEPARATE US? I’m greatly interested in talking with a few amazing women-oriented Ontario theatre companies in order to further develop the piece. I see it being much larger, theatrical, and way more intense. It’ll require a lot of time and dedication that, with this tour looming not too far away, I can’t really think about. But I’m interested in revisiting both pieces. Of course, with regards to PANTS., Tony Adams and I will be performing that at the Gladstone Theatre in February 2015. So, that’s the next thing to work on when we both return from tour in August! – Once again, you’re launching a solo show with a full tour. Do you do ANYTHING halfway? TRUTH BOMB (probably not good press for the show or tour…) With so many family events happening while I’m away, and with a new budding romance with a very cute and kind boy, I’d really like to stick around this summer. At least, that’s what I tell myself. Last summer, even though I was working hard on WHO WILL SEPARATE US? drafts, I still was longing for a tour. So, I say I wish I’m not going to go this year, but really — I’d be losing my mind here in Ottawa if I didn’t. Creating a show is a lot of hard work. As artists, we pour every drop of ourselves into the text, into each performance. And we’re lucky if we get a handful of people to see it. Even luckier if they like it. And we’re the luckiest when those people have paid full-price so we can afford to feed ourselves. But the main purpose isn’t financial. I’d be absolutely in the wrong business. We do it for the people who are kind enough to come watch us do our thing. So, essentially, touring is a way to maximize the whole purpose of doing this — sharing these stories, this tiny show that took massive amounts of time and effort — to as many people as I can. I know myself pretty well. If I had just been accepted to Ottawa Fringe and no touring cities, I probably would not tour TALES SHE TELLS for another several years before I felt comfortable revisiting a text that was done before. The timing is also pretty ok for me, too. I just finished school. Before long, I’ll probably be tied down in a job that helps pay the bills a little more than the arts-only income I find myself sustaining. This might be the only ideal time left for me to pick up, pack up, and tour. (I hope not. But who knows). In short, no. Nothing is ever halfway with me. And I think that’s a really solid way to be. Life is too short to constantly play it safe — especially in the arts. Listen to your impulses and REALLY LIVE. That’s where experience and inspiration comes from. PLUS, touring is a great way for artists to see what other theatre creators are up to across the globe. Really inspiring and can learn a lot from doing it. I love it! 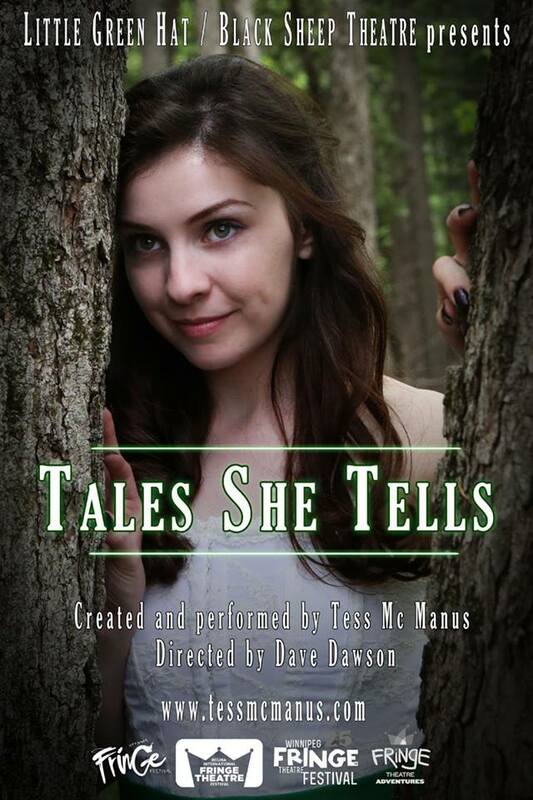 TALES SHE TELLS plays at Academic Hall on Ottawa U campus during the Ottawa Fringe Festival, June 19th to 29th. Full show schedule and advance tickets available HERE.